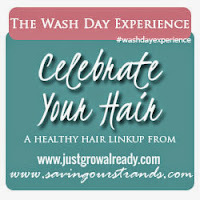 Our Wash Day Experience hosts Jen from Just Grow Already and KLP from Saving Our Strands have created weekly wash day themes for September. The theme for week one is called Uncharted Territory and encourages us to try a new product, technique, or style we haven't before. My participation in the theme includes using my new Thermal Hair Care Hot Head conditioning cap during my deep conditioning and doing a mini steam after air drying to bring back the moisture lost from air drying. Just this particular wash day I was able to incorporate the deep conditioning, moisturizing and sealing, and co-washing. Here are the details. I began with a 30-minute deep conditioning using Eden BodyWorks Jojoba Monoi Deep Conditioner and my brand new Thermal Hair Care Hot Head conditioning cap. After rinsing my hair felt amazeballs! Next, I did a tea rinse with green tea and then co-washed with a mix of Thermafuse Heat Smart Serum Condition, Suave Natural Infusion Anti-Breakage Shampoo with an awapuhi ginger conditioner, water, and a little green tea. I was wary of how this mix would turn out, but my hair felt very moisturized during and after rinsing. After t-shirt drying for an hour, I put in my leave ins of Eden BodyWorks Coconut Shea Leave-In Conditioner and Thermafuse HeatSmart Serum and then air dried. Since my hair tends to have a hard time retaining moisture when I air dry, I'm going to do a mini steam within the next day or two using my conditioning cap. All in all, I'm happy with how my wash day turned out. No setbacks or issues, but I will be watching my moisture levels this week. 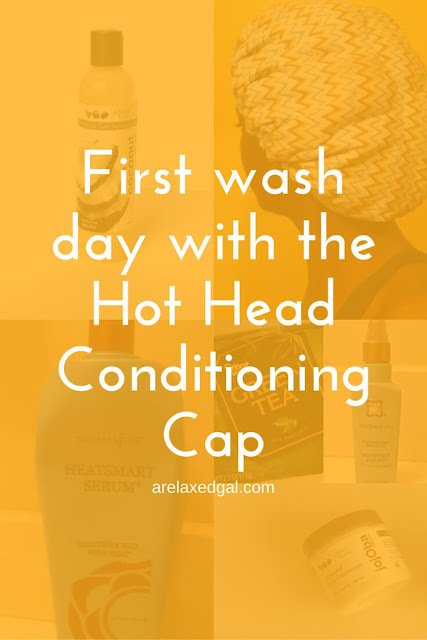 Have you tried the Hot Head Deep Conditioning Cap? I hope your 30 days goes well too. Thanks for reading Tamara. I wanted to try those heating caps, did you like it? I've only used it once, but it was great. The cap got hotter than I expected. 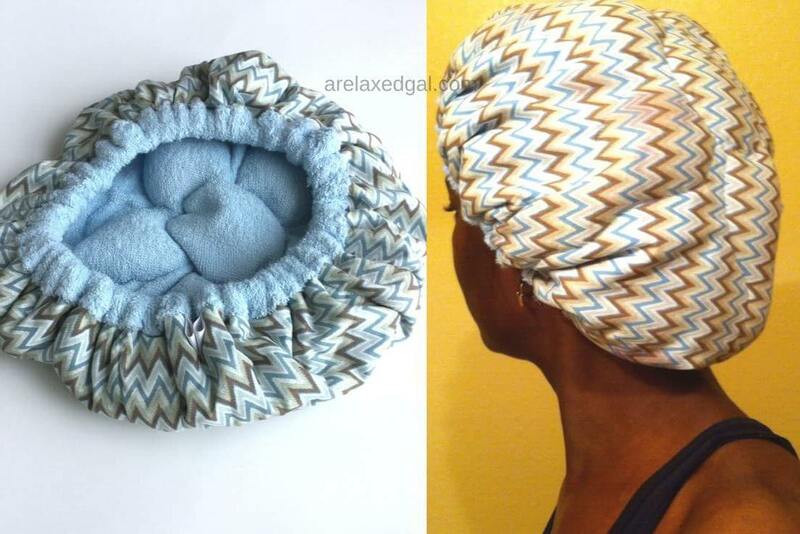 You wear a shower cap underneath so you don't get any product on the heating cap. That created some steam and my hair responded really well to it. LOL. I am so glad that I broke down and purchased one. What a cool heating cap! I can't wait to read your reviews! It really is cool KLP. It's easy to use and my hair always feels great after using it. Thanks for Sharing your third week. You post looks very organized, I really admire what you did. Thanks.